You may have heard the expression “you are what you eat.” Well, this is especially true when it comes to your dental health. Strong teeth and gums are dependent on a healthy diet of nutrient-rich foods. And here are 6 foods that will specifically keep your teeth and gums in the best of shape. Protein is the building block for strong bones and teeth. Your jaw bone is the main support structure within your mouth, and just like all bones, it can be kept strong by eating high-protein foods, like meats, eggs, nuts and beans. Calcium, found in dairy products, such as milk, cheese and yogurt, is vital in the development of teeth that are resistant to tooth decay, as well as strong bones. And even as an adult, calcium continues to be an important factor in maintaining the bone around the teeth and preventing osteoporosis. Current research shows that eating cheese raises the pH level in your mouth, which reduces the amount of acids, and it forms a protective coating on the enamel of your teeth, protecting them from decay- causing bacterial acids in the mouth. Vitamin D, which can be found in a variety of fish, is a vital nutrient that helps the body absorb calcium. Other sources of Vitamin D include responsible exposure to natural sunlight, egg yolks and even mushrooms. Oats, barley, corn and rice are grains that contain the mineral magnesium. Magnesium is responsible for keeping the calcium within your bones and teeth, which helps maintain their strength, and it also plays role in preventing gum disease. Even though you wouldn’t suspect it, foods like lemons, oranges and grapefruits do a lot to support your dental health. The vitamin C in citrus fruits is necessary to maintain the cells that keep your gums healthy and prevent periodontal disease, besides strengthening the enamel of your teeth. Vitamin C is also found in other foods, like sweet potatoes and red peppers. Now here’s one you didn’t see coming. Xylitol, a natural sugar used to sweeten some sugarless gums and candies, can help prevent tooth decay, according to the Academy of General Dentistry. Unlike sugar, which is used by oral bacteria to produce acids, xylitol doesn’t form acids as it breaks down. For the best anti-cavity protection, you should have at least 3 to 5 servings a day. Sugar-free candies and gums also stimulate the production of saliva, helping to clean bacteria and acids from your teeth. Although a nutritious diet is necessary, your dental health is also dependent on brushing your teeth with fluoride toothpaste, flossing at least once a day, and regular check-ups with your dentist. And for more affordable dental visits, you may want to consider a dental discount plan. Unlike traditional dental insurance, a discount plan has no deductibles, plan maximums or waiting periods, and all services are covered — even cosmetic procedures and orthodontic braces. As long as your treatment is done by a participating dentist, you will receive a discount of up to 50 percent on the dentist’s fees. 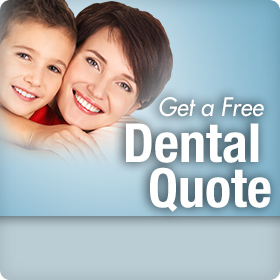 You can also supplement a regular dental insurance plan with a discount plan to further reduce your out-of- pocket costs. Just click on this link to see how much you can save with a Confident® dental discount plan through Careington®.